See our Frequently Asked Questions to help you find the right system for your business. What pallet racking brands do I currently have? The easiest way to determine the brand of your existing racking is to look at the hole patterns in the frame uprights. Below is a list of the most common types of pallet racking found in Australia. 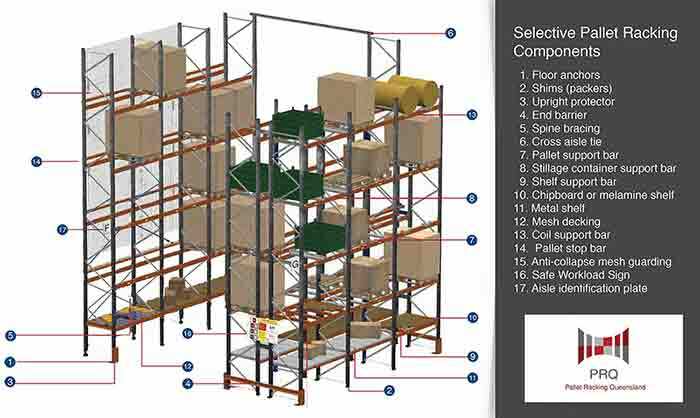 What are the standard components in pallet racking? How many pallet levels can I put on my racking? 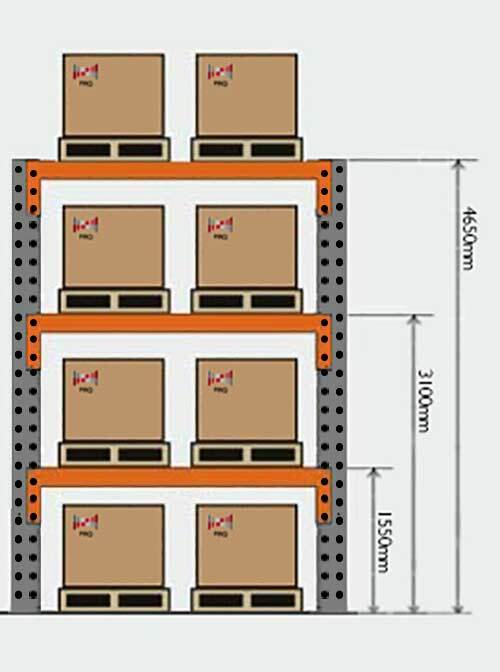 Let’s assume that you use standard fully loaded pallets with dimensions of 1200mm x 1200mm x 1300mm (Diagram 3.1). Note this can vary and some pallets can be longer, wider, shorter or taller. In addition, you leave a recommended minimum clearance of 150mm between the top of a pallet and the bottom of the beam above it (Diagram 3.2). What weight can I place on my pallet racking? Pallet racking is rated on both upright frames and on beams. 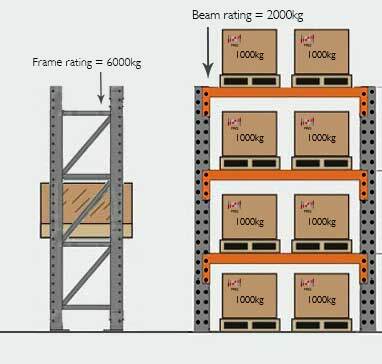 Assuming that each of your pallets are carrying 1000Kgs (Diagram 4.1) of product and you have 3 levels of 2 pallets on each shelf then your beams need to be rated to 2000Kgs and your upright frames need to be rated to 6000Kgs. What distance do I need between my pallet racking? As a general rule, rack spacing depends on the length of your forklift. 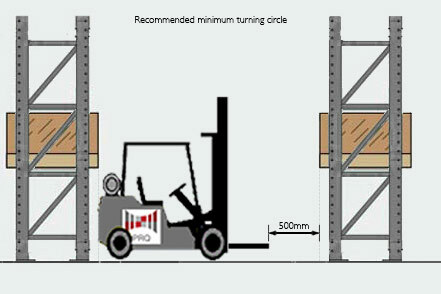 PRQ recommends adding 500mm to the length of your forklift (from the rear of the chassis to the tip of your tynes) as a minimum forklift turning circle. What pallet racking height do I need? Warehouse storage density required. 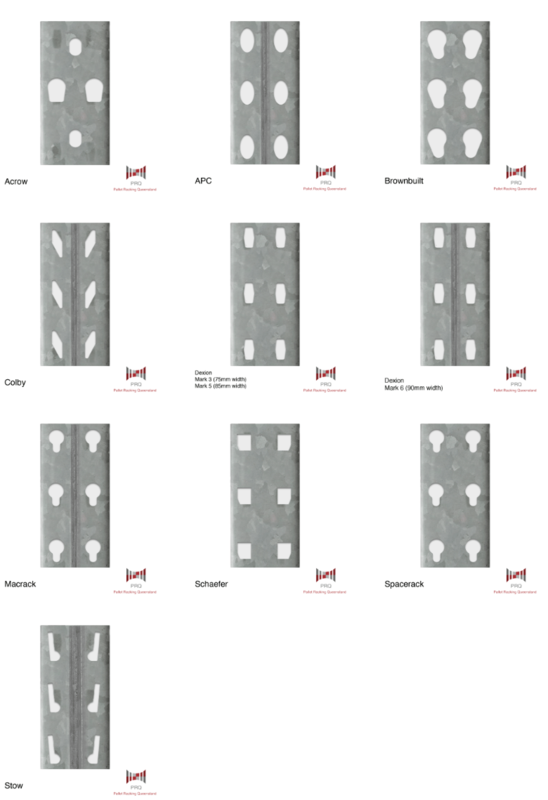 If you need a lot of products in your warehouse then definitely utilise its full height. If you don’t have a high density requirement then going too high with your racking is negative. The time and skill required in forklifting to high racks is not required when you can simply utilise lower racking. Forklift reach. 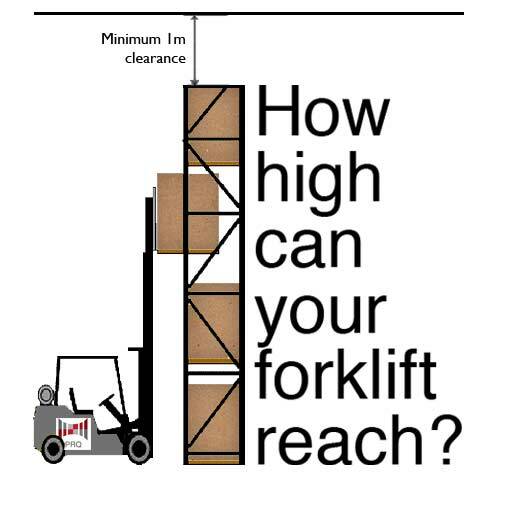 Make sure your forklift tynes reach the height of your racking and your forklift is rated to lift pallet loads to that height.